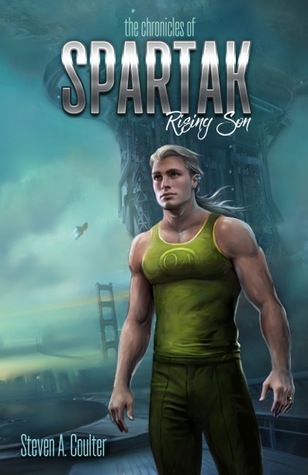 There are not enough fantasy or sci-fi books with gay main characters out there.I’m always looking for them. I wanted to let you all know about a great opportunity to pick up a queer fantasy trilogy for 99 cents on Amazon. The Leech trilogy by James Crawford is a series I’ve been interested in reading for a while now and I already bought the first book Caleo a while ago. I was super excited when I saw the promo sale because now I have the whole trilogy on my Kindle and can read the trilogy straight through. Check out the description for the first book below to see if you might be interested in the world Crawford has created like I am. If you do want to read it head over to Amazon to get your set. Every High School has their social outcasts. The band nerds, the math geeks, the chess club, the girl that chews her hair, but at Butler High, even the creepy nose picker in the chess club is more popular than Caleo Anima. No matter what he did, his pale skin, snow white hair, and piercing blue eyes always made him an easy target. He used to think that the only way things could get worse would be if someone found out that he was gay, but that isn’t even the tip of the iceberg of problems after a mysterious stranger shows up and changes Caleo’s life forever. Hidden amongst our society, a secret and magical race of people known as ‘Leeches’, have been engaging in civil war for decades. Both sides are desperately searching for a weapon with unlimited power that will give them the advantage they need to rule their world. This wouldn’t mean anything to Caleo, except for one problem…He is that weapon! Forget making it through High School. Caleo has bigger problems! As the search for him goes on, the world is quickly crumbling around him. He’s now fighting for his life and the life of what little family he has left. With the help of new friends, he has little time to try and master his newly found powers as he tries to figure out who he can trust, who is trying to use him, and who just wants him dead. One wrong step and being the awkward pale outcast will be the LEAST of his worries. You can get the Trilogy by clicking here.